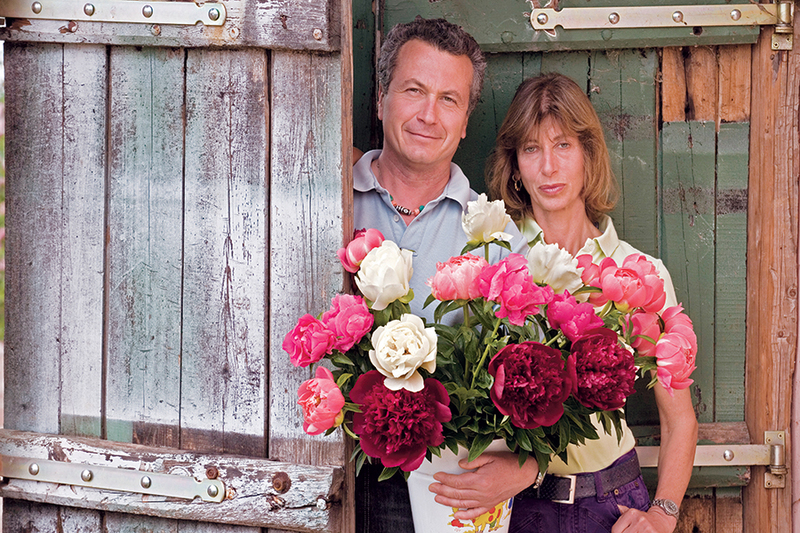 Our collection of peonies is the result of a search that lasted over twenty years and is composed of species, varieties and hybrids from all over the world. 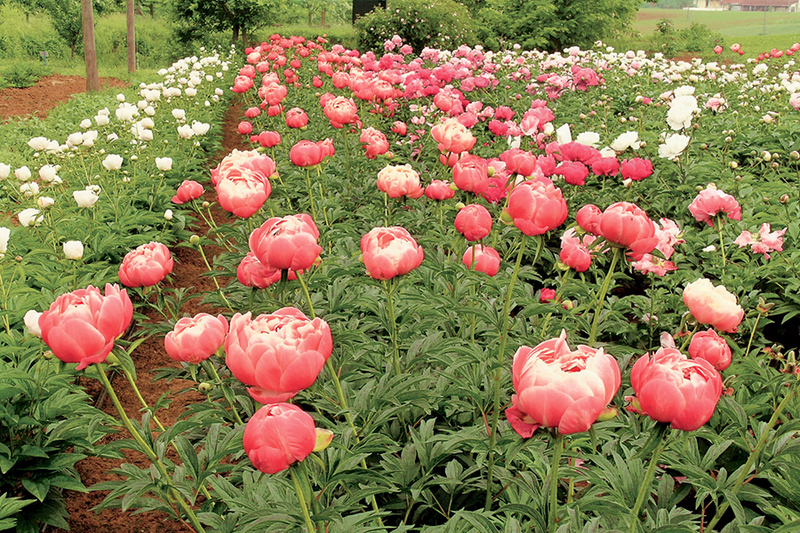 The main feature of herbaceous peonies is that their aerial part dies during the winter; the new stems start directly from the root collar, also called “crown” a few centimeters underground. 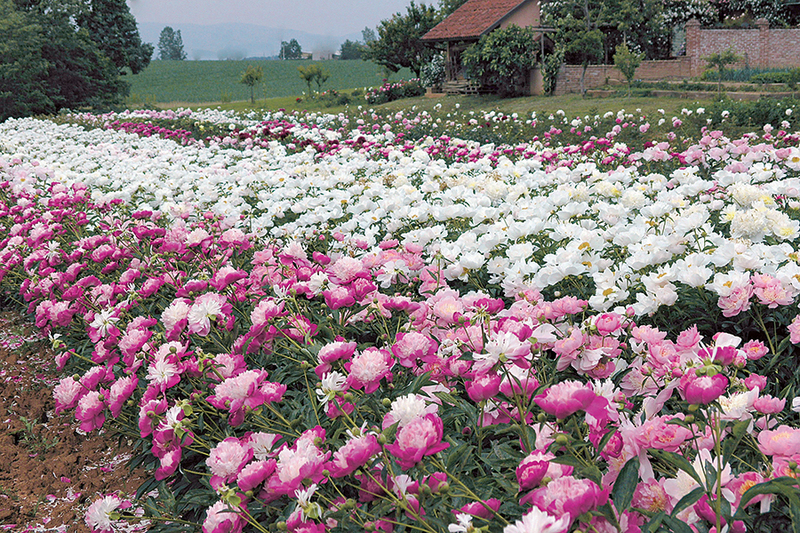 Herbaceous peonies then develop several stems every year carrying the leaves, and on top, the floral buds. 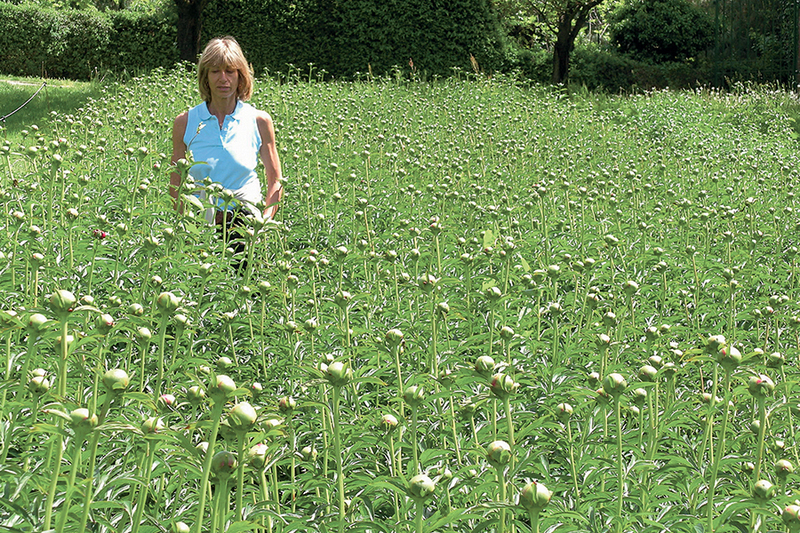 Like all perennial herbaceous plants, tufts of herbaceous peonies grow horizontally but keep the same height over the years. 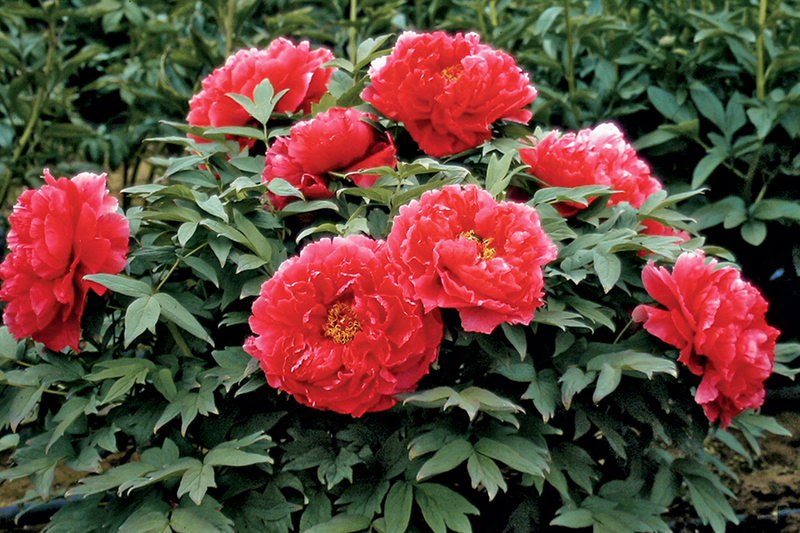 This peonies produce true wooden branches on which the buds carrying leaves and flowers sprout in spring. 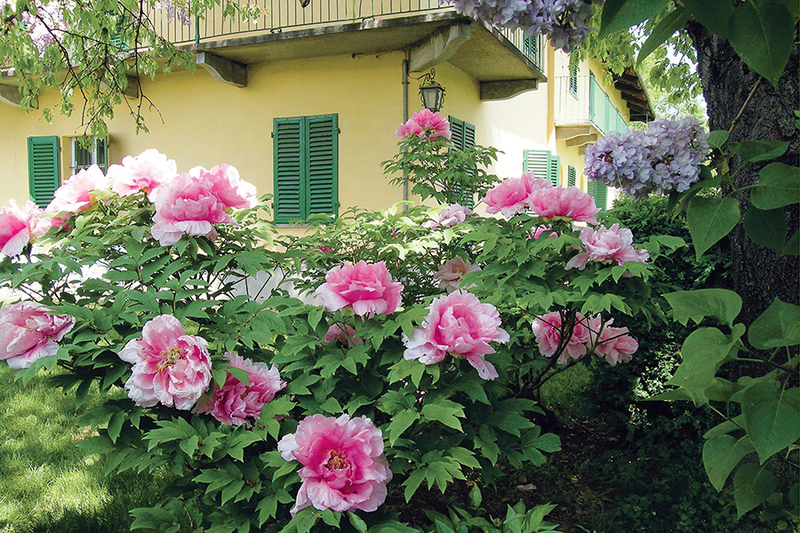 Intersectional or Itoh Hybrids are crossbreds between Herbaceous and Tree peonies, they shows characteristics that are intermediate between the two parents: the aerial part dries up in autumn like with herbaceous peonies, but the branched stems, the leaves and flowers are similar to tree peonies.